Whatsapp is the most famous mobile messaging platform till date. But do you know some of the secrets tricks of whatsapp which can take you to the next level. 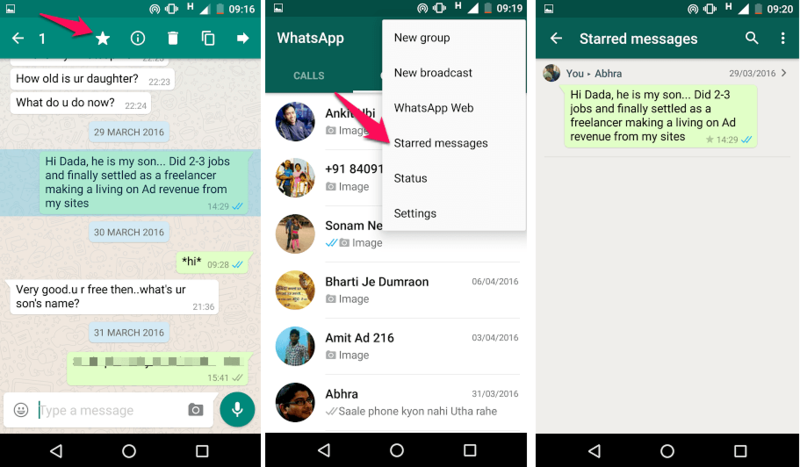 Here in this article, i am highlighting most famous whatsapp tricks So far. Just click on that mic icon and just talk your message. It will be automatically get typed as you speak. Uninstall whatsapp from your mobile. Download whatsapp from play store. Now , It will not be able to verify you via internet and it will prompt you to choose alternate SMS Method. Borrow your friends’ android phone which you want to spy for just one minute. 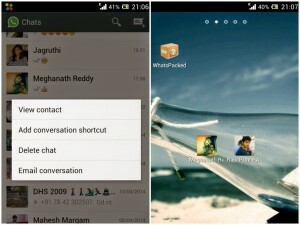 1 – Just go to the conversation chat window of whatsapp and keep the message pressed for few seconds. 2 – On the top right, just click on three vertical dots. 3 – Finally , click on Info. For this you need to long press on the selected message. Now if you look at the top section, you will be able to view a new icon. This icon is the Reply icon. Press on it. Now you will be allowed to type-in your reply or your comments regarding the selected message. Type in your comment as shown in the screenshot given below. Just Long press any message and mark it as starred. Now, you can find it anytime easily from main whatsapp windows. Just Click on Three vertical dots on main window, and click on starred messages. Are you getting more Mobile data Bills. Well may be whatsapp be the culprit. 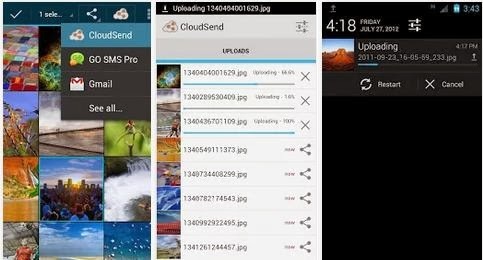 Millions of images sent by friends and groups are getting auto downloaded to your phone without your wish. You can easily stop this by changing settings here. After this you will only download images you wish to. Some of your whatsapp messages may not be suitable for everyone else in the family, like children, parents etc. 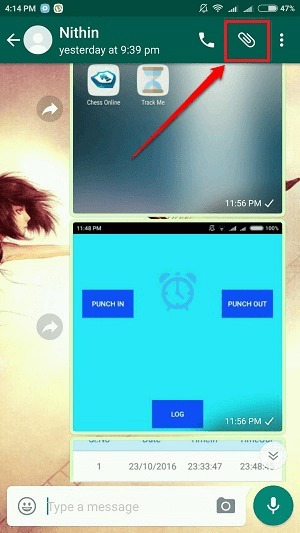 In this case you can lock your whatsapp with Lock for whatsapp app. It may be that you have various mobiles with you and in that case a person tends to have more than one whatsapp account. But once you lose or break the old phone, you always wish to use it in your favorite phone. But is it possible. Yes its possible with help of an app. Add accounts over it and run more than one Whatsapp account via it. 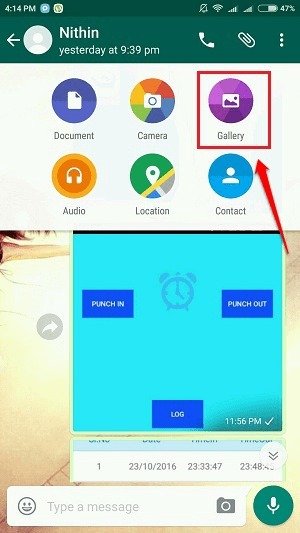 Do you know you can easily create a person’s shortcut on your phone home screen. 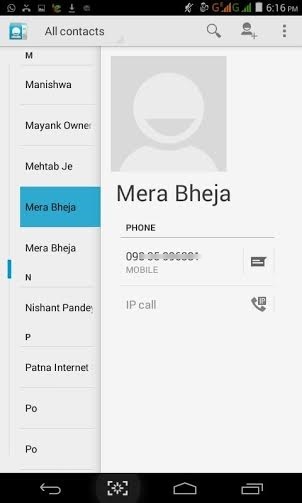 Just keep the contact pressed for few seconds and a pop up menu will appear. If you have just changed your sim, You need not worry thinking , what will happeen to your account. 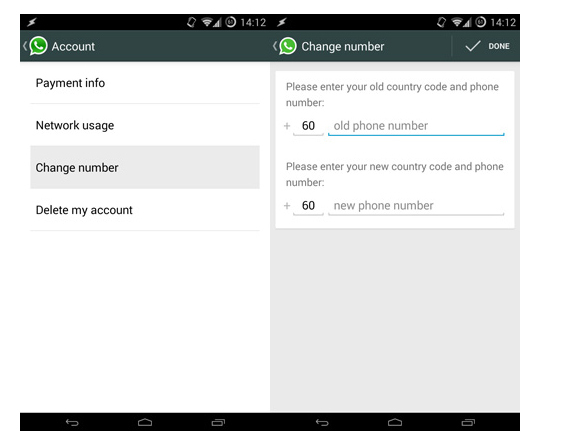 Whatsapp have a setting in which it allow anyone to change the phone number. Whatsapp Profile Picture Prank ! Copy your friend’s profile pic name and delete the profile pic. Now make an image of size 561 x 561 Pixel dimension. Make it horrible or funny so that your friend gets really scared. Show him his profile pic on the phone , he will be shocked. In this whatsapp you have to change your mobile number twice and revert to the same earlier and nothing else. Amazingly it tricks whatsapp for extended validity on android. Lets say your Phone no. is 8866****** having service expiration Feb 18 ,2016. You just have to enter your old number as 8866****** And new no as your second sim no. 9067******. Repeat the same process again keeping old number as new and vice versa and bring back your old number which you want to keep. Don’t worry it will not delete your history or remove you from any group. 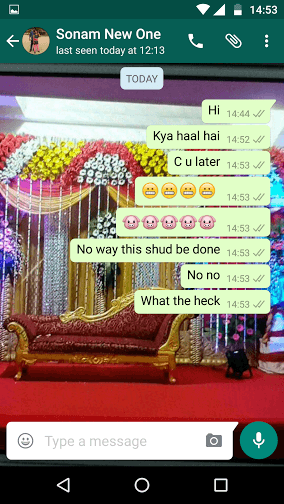 The red heart emoji on whatsapp expands and animate like a beating one. Try it. Go to any chat window. Hit chat wallpaper. 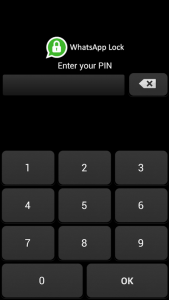 It will come by pressing same key on your phone which brings you the menu to status. Once you enter a friends chat, press the key there. A pop up menu will appear. In it hit on wallpaper and change wallpaper. Send a message to all your friends at once. For that you have to first create a broadcast list from your contacts. Once its ready, go to new broadcast and send message. You can use this feature in case you lost while going to meet some friend. You can share your current location , so that he can trace you out in few taps. Just tap on the attachment icon. 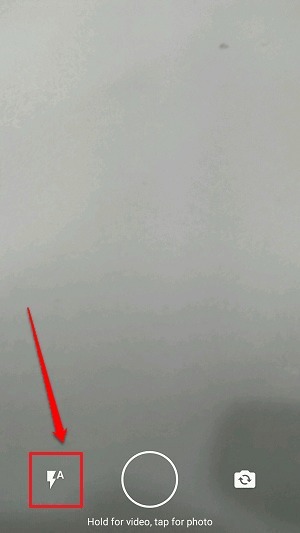 The same one with which you use to attach pictures. From there you can share your location also. Note that you must have your GPS enabled for doing this. Now everyone knows that we can send images , video and audio via whatspp. But what if we wanted to share other file formats via whatsapp. Yes, you can send large files of different file formats via whatsapp. Follow these simple steps provided below. 1. Download and Install Dropbox app and CloudSend App from Google play store on your phone. 2. Open CloudSend . You will be asked to link CloudSend with Dropbox , allow it . 3. Share the file on Cloudsend . The file will get automatically uploaded to your Dropbox account and you will get a link to that file. 4. You can Share this ” link ” to his friends on WhatsApp . On clicking of the link your friend will be able to download the file. 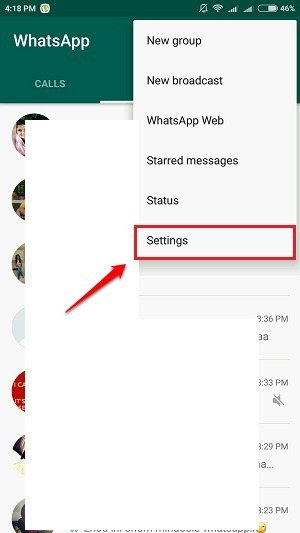 With this trick you can hide when you are last checked your whatsapp. This becomes handy if you want to remain anonymous about your whatsapp behavior. For steps see the screen shots below. Click on 3 vertical dots on home screen, then click on settings. Most of people don’t know and don’t care for this useful settings. Impersonators or spammers can download our pics and use it for illegal purpose. 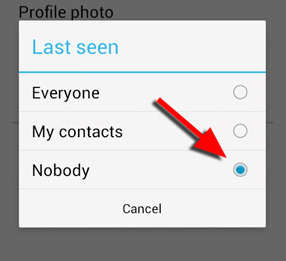 We should use this whatsapp feature to hide profile pic from public view. Follow the screenshots below. First click on 3 vertical dots on home screen of whatsapp. Then Go to settings > Account > Privacy > Profile photo and Choose my contacts. This is really important for security purpose. 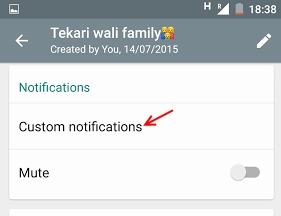 If you like someone status on whatsapp and do not want to hurt your fingers while writing it in your edit status field on your phone, Just log in to https://web.whatsapp.com and then just copy the status. Now click on your profile pic. Your profile and status will open. Just click the edit icon and paste the status then and there. 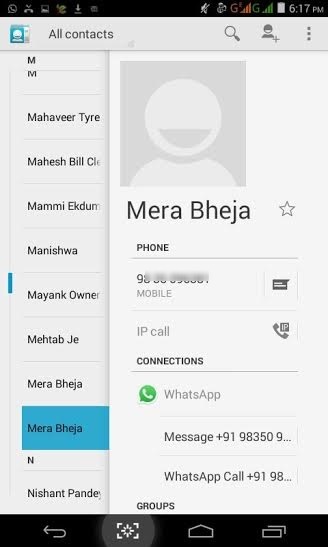 first save your own phone number (from which you use WhatsApp ) on your phone with your name. after saving you will see an option Message +91 *********** with whatsapp icon. – open http://web.whatsapp.com on your pc and scan the code. Select attach files, upload and send any image to yourself . Now as you can see I uploaded a 5 MB image and it got compressed to 593KB. Keep a group icon pressed for few seconds for the menu to appear. 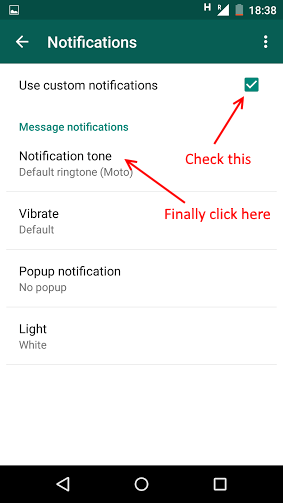 Now, click on notification tone and select your fav notification tone for your fav group. Click on three vertical dots on top right of whatsapp main window. Now Click Chats and then Click on wallpaper. Now, change wallpaper by browsing into your phone gallery. Just enclose your message as in given pic below and send your message in a completely new font. 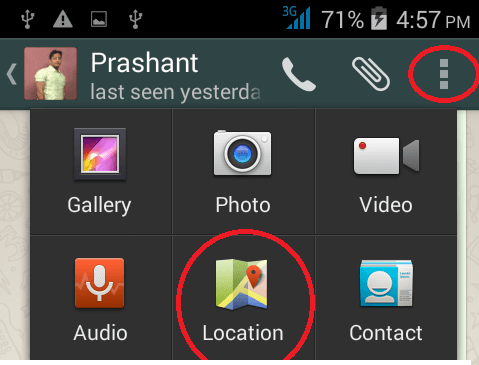 Launch WhatsApp by clicking on its icon. As next, open the chat window of the friend to whom you want to send the GIF to. Click on the attachment icon at the top of the screen. From the list of options, choose the Gallery option. When the Gallery opens up, apart from the Photos and the Videos tabs, there will be a new tab for GIFs. 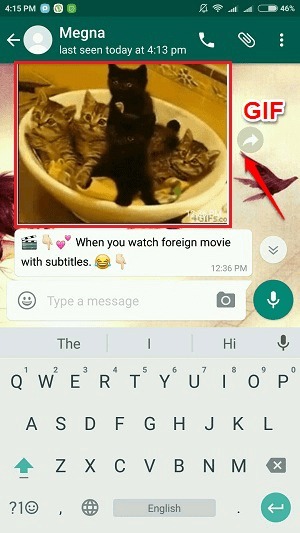 You can send the GIF from here to your friend just like how you would send a photo or video. To play a GIF, you just need to download it and tap on it. That’s it. 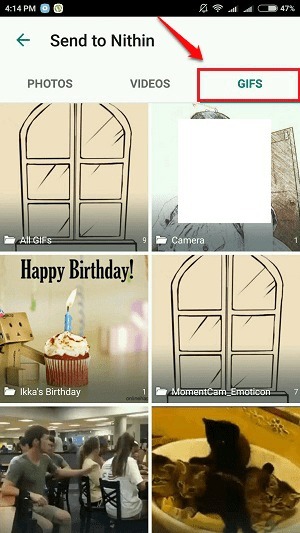 GIFs are very much similar to other multi media that WhatsApp supports. You can save a GIF, view it, forward it to friends etc just like how you would do with other multi media messages. Another cool feature that is taking everybody’s breath away is the doodles and stickers addition to images and video sharing. You can check out all about this feature in detail from our article on the topic New Whatsapp Update Adds Doodles & Stickers To Multimedia Sharing. Now you can invite your friends to join your groups by sending them group invitation links. 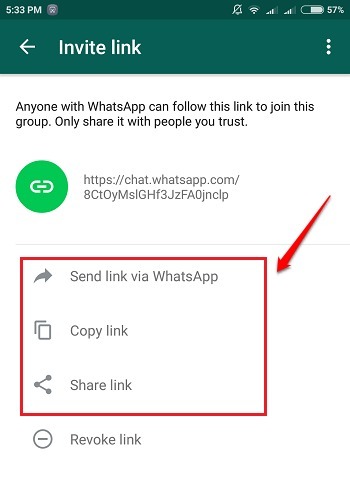 Check out all about this feature from our article on the topic How To Send Whatsapp Group Invitation Through Links. There is no flash light associated with the front cameras. But you can add a selfie effect to your WhatsApp selfies by clicking on the Flash icon as shown in the screenshot given below. This feature has been available for Android users for a long time. But for Windows users, this is a newly rolled out feature. To backup your chats to Google Drive, follow the steps given below. Launch WhatsApp and click on the 3 dots icon at the top to expand out a set of options. Click on Settings next. As next, click on the Chats option. 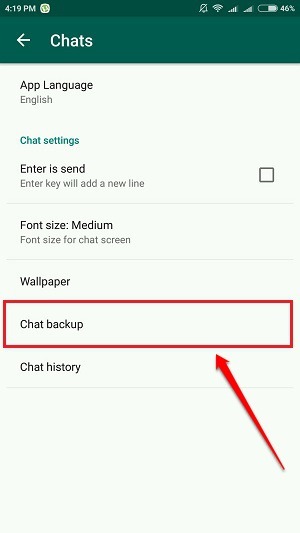 Under the Chats section, click on the Chat backup option. 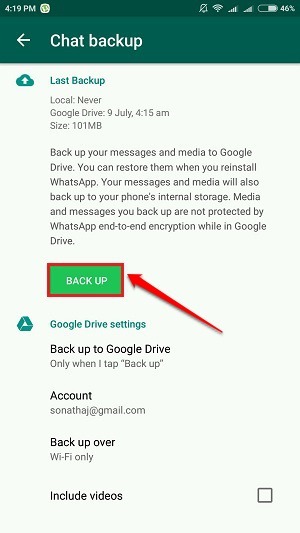 Now you just need to click on the BACK UP button to back up your WhatsApp conversations to Google drive. You can now use the @ symbol in groups to mention your friends and reply to their messages specifically. 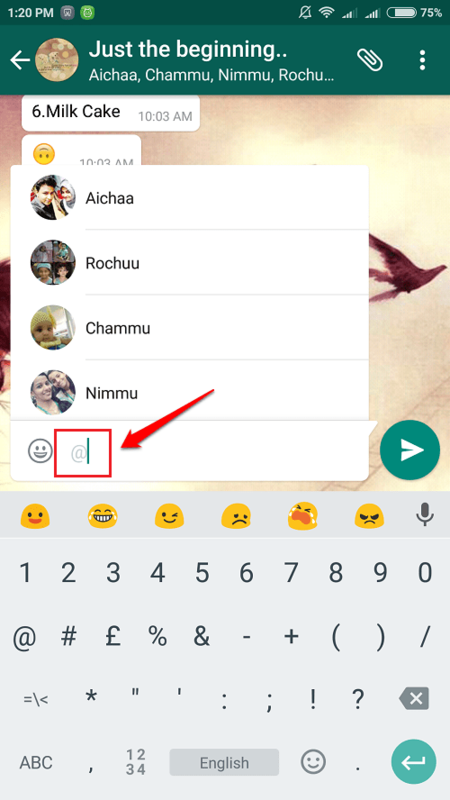 Read Now Mention Friends’ Names In Whatsapp Groups Using “@” Symbol to know all about this feature. 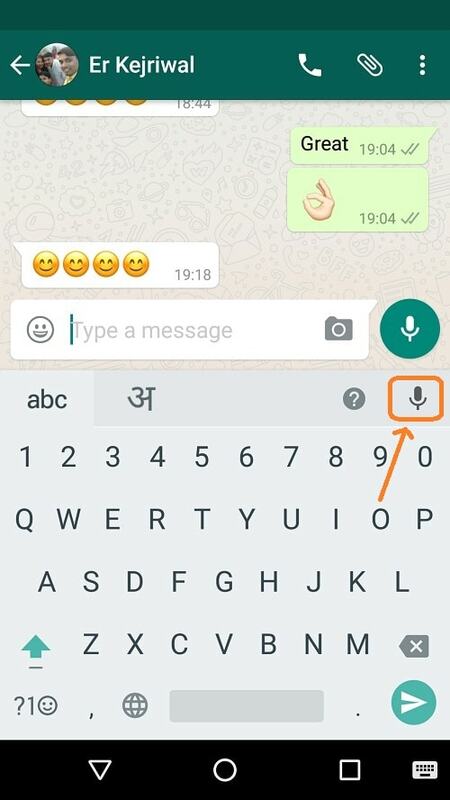 You can use the secret font in WhatsApp to send messages to your friends and to amaze them. 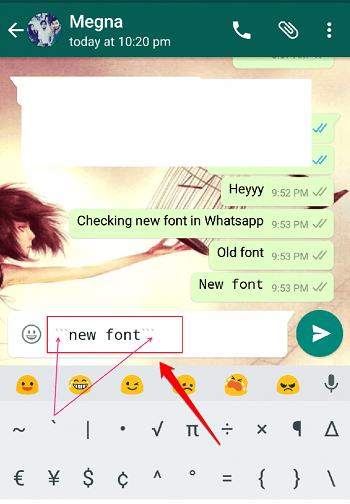 Follow the article How To Send Your Whatsapp Messages In A Different Font to know how to uncover this hidden feature. You can now change the front and rear camera by just double tapping on the screen, once the WhatsApp camera is opened. While recording videos, you can zoom in or zoom out by sliding two fingers up or down. The message quotes feature is highly helpful in avoiding confusions. You can reply to specific messages using this features. 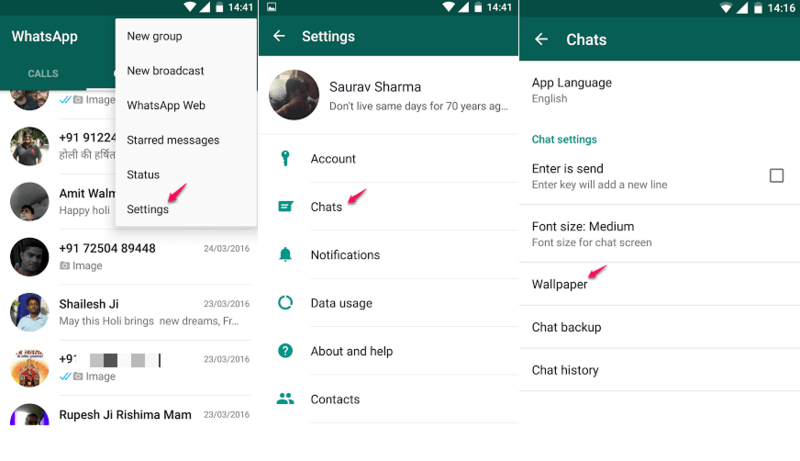 Read all about this feature from How To Use Whatsapp Message Quote Feature. You can prevent WhatsApp from sharing your data with Facebook. To learn how to do this, check out the article on the topic How To Stop Whatsapp From Sharing Your Data With Facebook For Ad Targeting. Hope you found the article interesting. Try out all the new WhatsApp features today itself and have fun. If you have any doubts regarding any of the steps, please feel free to leave comments, we would be happy to help. Stay tuned for more useful tricks, tips, and hacks. Just open web.whatsapp.com in chrome browser. Now, press CTRL + Shift + J at once to open console. Now, copy and paste the code given below in the console and hit enter. I was completely unaware from these interesting and helpful WhatsApp tricks. 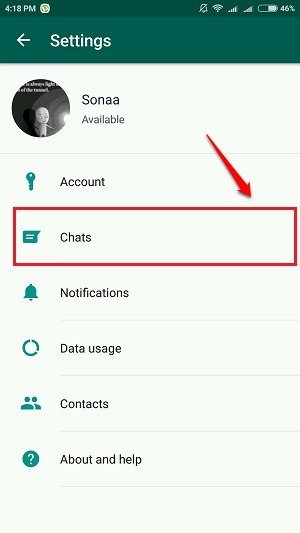 After reading these 20+ Whatsapp tips and tricks, I think these are really quite secret and most of the WhatsApp users still don’t know about these. “Creating Shortcuts For Frequently Contacted Friends” and “Whatsapp Profile Picture Prank !” are my favourite tricks in this list. Thanks for sharing this detailed Whatsapp guide with us. Keep helping sir !! how i can get notification of your updates. there is no option for registerd email id. also tell can i ask you any question about technology. how can I get the msges I sent to someone else removed from their phone. eg bbm if I delete a contact they no longer see the chats. how can u do this with whatsapp? admin can you tell me a trick to find the username to whom a particular photo was sent from other mobile its not mine? any way to migrate messageStore-yyyy-mm-dd.1.db.crypt from blackberry passport to new blackberry PRIV (Works under Android)….????? I was shocked to know all the things. i am gld to know these 22 tricks of whatsapp. Can i use two cat windows for the same contact? My whats app was in sd card the space of sd was full nd after that my all whats app chat history was deleted how can i recover my chat history? Check out google drive associated with your Google account (Android Phone), if by chance you have checked it for backup, you can find your chat history there. Otherwise, You can try free recovery programs to recover files from SD card. I am a new user of Whatsapp but thanks to this article because now I can use Whatsapp like a Pro. Thank you so much for these amazing tricks you have shared. Wow Thanks Bro to Post Amazing methods. 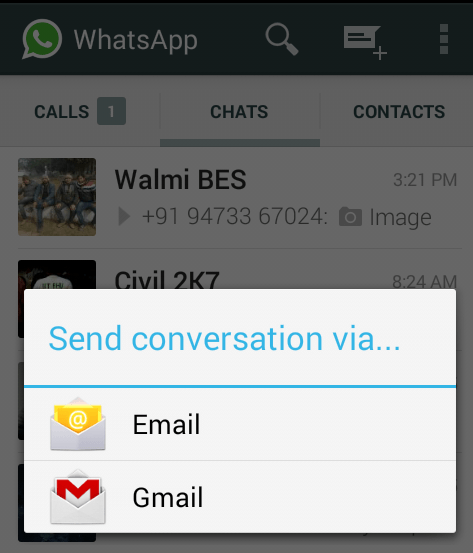 Just long press the conversation and then send conversation as email to your mail. Do have any trick to get my friends old status. can I saw it again. How to know if someone is 1) spying on your WhatsApp, 2) has hacked into? In the case that one has purchased a new phone, is it possible for one to transfer the information from the database such that one gets to keep their old status with the date and everything? My friend wants to change his handset. All contacts, chat , groupchat , groups etc is not issue. If they do not migrate automatically, any workaround? Very helpful tricks! Thanks a lot! I want to trace chat,images and video’s of my gf number without taking her phone is it possible to do that because she is living out of station ???? 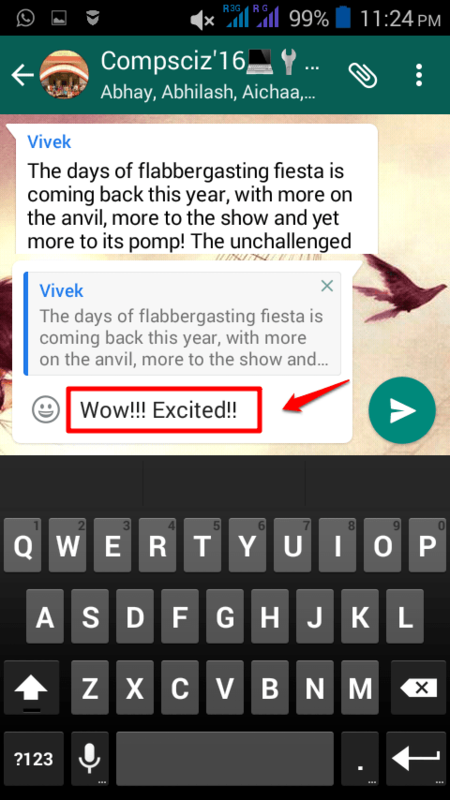 Now Send Bold, Italics Or Strikethrough Text In Whatsapp not working. am trying almost. pls help me cant open my profile on whatsapp on my nokia6120c nd hw can i mve my whatsapp frm phone memory? Bcus wen i try to press option button it wil quit! This article has best Tips on Whatsapp . I like the most copy of others status 😛 . Hey suarabh you came back why you blog is unavaiable on web ?? I also post a blog on whatsapp tricks. 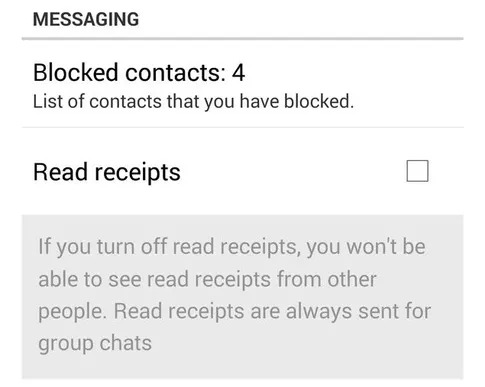 i do not want all my contacts to know i am on whatsapp when i install it the first time. how do i do that? Wow ! Nice Tricks To Use Whatsapp . Add a tilde (~) before and after the words or phrases you want to strike a line through. THIS IS NOT WORKING AS MESSAGES ARE ENCRYPTED NOW A DAYS….. DO PROVIDE ALTERNATE SOLUTION. Is it possible to see my friends old status??? but how I resize image pixel to prank profile pic..
Bro! I’ve received a forwarded message in whatsapp today.. After every line, there’s a word in blue ‘See more’ when i tap it, it is displaying the second line! How is this expansion possible? How can we hack whats app data without using friend’s cell .i have only mobile no. can i hack all whats app data only knowing by mobile no.is it possible ? If I want to see some ones DP of whatsapp group whose no is not save in my mobile, what to do ? or is it possible to see someones details whose mobile no is not save to my mobile from a whatsapp group ? 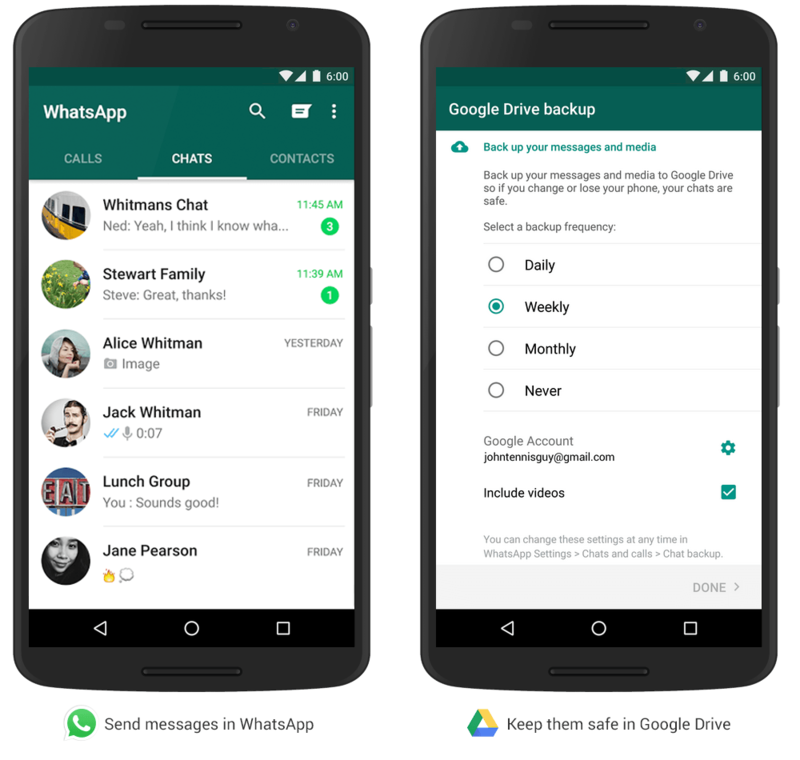 Is there any way to get whatsapp to download the contents of a whatsapp group to a separate folder? This will really help in sorting out the general forwards from pictures we exchange. Is this possible to get notification when a targeted person comes online??? If yes! How?? I uninstalled whattsapp and reinstalled with old mobile number on a new mobile handset. i find that I am not part of the groups as before and cannot send messages to them. Any solution to just transfer the only one group setting from old phone to new ? I created a WhatsApp group and then removed all its members… I uninstalled WhatsApp then…now I want to have that group back and add them again in the same group….how to get back to it..? I lost some chats after changing my phone. How can I get it back?? Is there any way to send a post in multiple group by one click. Can i delete a chat that i sent to someone? its not delivered to them yet. i dont want them to see it..
@Christopher, I can’t believe you telling tricks that are already dead since years, copying DB crypt 5 file method stopped working atleast 2.5 years ago. The whatsapp dog, stopped working an year ago. But you mentioned it now, so it looks like you are deliberately telling tricks that are not going to work. i want to use whatsapp without mob. no. 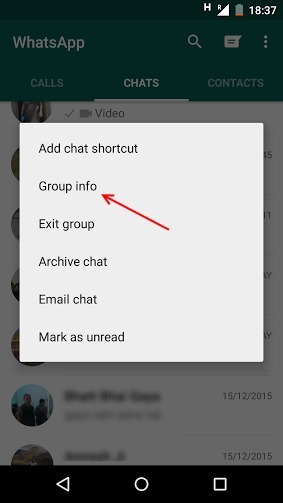 how it is possible ..
How can we save the details of all group members in the Watsapp ? how will recover my deleted broadcast list.. more than 200 contacts was there in the Broadcast list. Unfortunately its deleted. Please, how can we get the exact SPOOF MESSAGE APP from playstore? because, there are many Spoofs in there. Please, can you give us a link? Its really a huge and interesting list of whatsapp tricks. But i think you should also mention how to use two whatsapp account in one phone using parallel space app. If unknown contact number send a message to me, if i saw the message that unknown get double click or not? 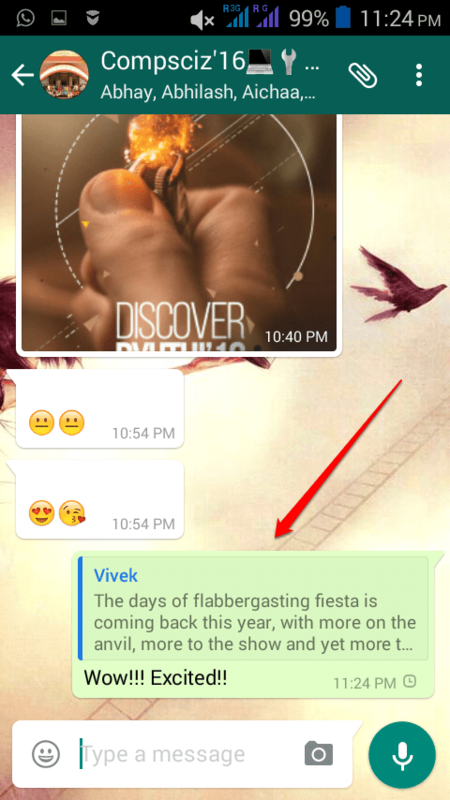 Prank Your Friends By Bombarding Thousands Of Messages At Once In Whatsapp – Not working in update version of WhatsApp. hi! i recently kept a password on my phone and forgot it. now it seems that there is no other way but to format it completely. but i dont want to loose my whatsapp account as the number that i registered with it is from other country and i am in other country. 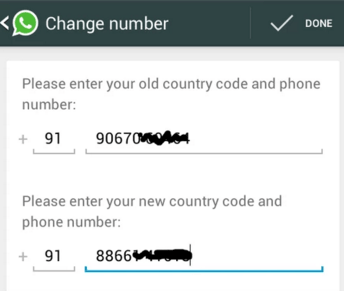 please give me a solution to register my whatsapp with the previous number in other country. Is there any facility wherein I can have two different dp’s on same whats app number? one for my whats app group and one normal for the rest of friends ? If yes lease share. Does “Custom notification” feature only work for the saved contacts, or its applicable also for the deleted, or blocked contacts? It seems, you know a lot about WhatsAPP .I made a video profile and supposed to click next ,mistakenly clicked back 🙁 Do I get that Video back ,is there any alternative for it. A cache or something else???? how can i check any one whatsapp last seen if they stopped their last seen ? Hello I am only able to see recent and frequent chats only while forwarding the message. 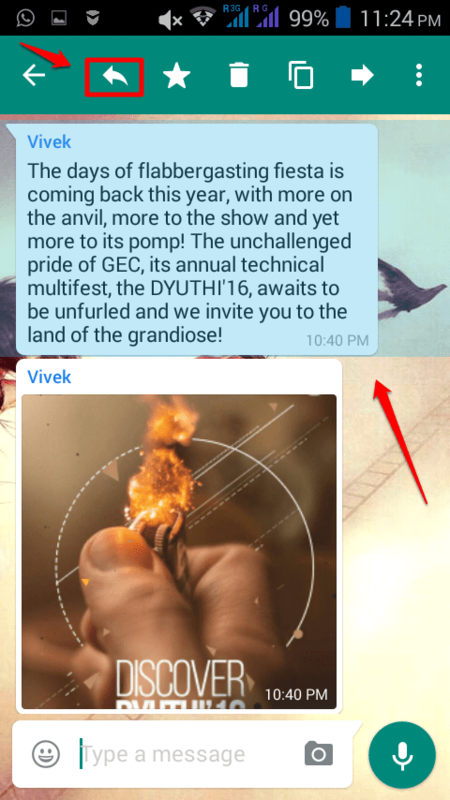 Why not able to see broadcast list while forwarding the message. 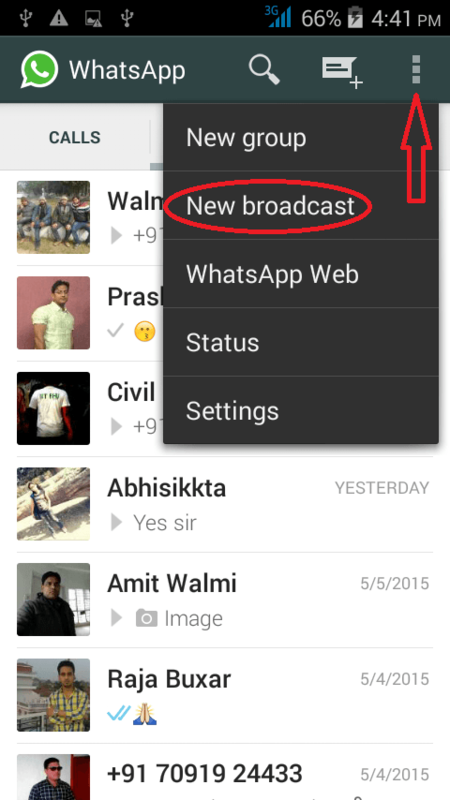 How can I see my broadcast list while forwarding the messages as I can’t see my broadcast list while doing so. He could read any individual messages without the 2nd tick…only for group messages the tick is visible. So, the sender cannot even notice the read details. I cross checked it. Can you please tell me the name of app.